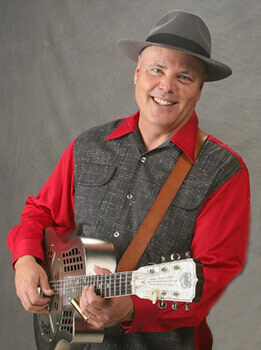 Four-time Grammy Award winner David Holt is a musician, storyteller, artist, historian and radio and television host. For more than forty years, he as collected and performed the songs and stories of the Blue Ridge Mountains. He learned this treasure trove of music directly from musical greats including Doc Watson, Roy Acuff, Tommy Jarrell, Etta Baker and Grandpa Jones. In addition to making numerous critically acclaimed recordings, Holt is host of popular television programs including the PBS series David Holt’s State of Music, Folkways and Great Scenic Railway Journeys. He was featured in the film O Brother, Where Art Thou and was host of the Nashville Network’s Fire On the Mountain and American Music Shop. In 2016 David was inducted into the North Carolina Music Hall of Fame. From 1998-2012 David toured and performed with the legendary Doc Watson. “A highlight of my career,” says Holt. He currently tours the country performing solo, with Josh Goforth, and with his band, David Holt and the Lightning Bolts.